The fluidity and flexibility of oil paint is well-suited to my creative process. Color, light, composition, and paint handling are key elements in my paintings and tools for my expression. When I paint I connect with changing light, the color of the landscape, and movement. I focus on abstract shapes and forms creating a whole. As a full-time artist I have received numerous honors, awards, and professional accolades. I sell my work in multiple galleries and events. My paintings hang in private and public collections in the United States and abroad. I have achieved Signature Status Membership in the American Society of Marine Artists and the Mid-Atlantic Plein Air Painters Association. Organizations that require specific reviews which I have been juried into include the Oil Painters of America, the Salmagundi Club, and the Washington Society of Landscape Painters. I am an elected Fellow in the American Artists Professional League, New York, NY. 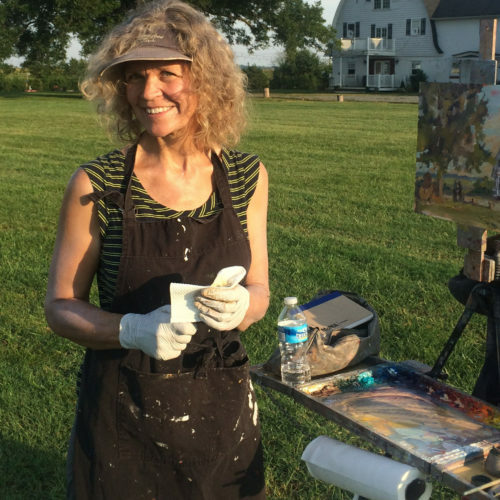 Other memberships which I maintain include the American Impressionist Society and California Art Club, the Art League of Alexandria, and the Maryland Federation of Art. 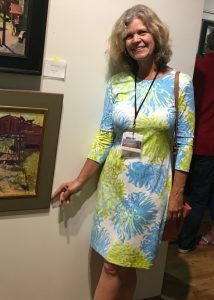 Media highlights include a 5-page Artist Article in the well circulated Plein Air Magazine, an Artist Profile in Washington, DC’s Hill Rag and I am one of the artists of the 100 Plein Air Painters of the Mid-Atlantic. I live in Alexandria, Virginia, along the Potomac River which flows into the Chesapeake Bay and the Atlantic Ocean. I grew up along the Pacific Ocean, in La Jolla, California and have painted as long as I can remember. I attribute my love of the outdoors and different places to childhood days at the beach, camping and backpacking trips every summer throughout my life, living in India when I was 10 years old, and endless traveling. Both new and familiar landscapes inspire me. Beaches, cities, mountains, farms, rivers, deserts, docks trigger my imagination. My love of art has been my life. I was influenced by the art of my mom who painted the California landscape and encouraged my interest in art by setting up my toddler easel outdoors, enrolling me in art classes, giving me personal instruction, and purchasing art supplies for me. I developed a love for books early and spent hours pouring over the “Art for Children” books by Ernest Lloyd Raboff, especially Pablo Picasso and Paul Klee. As my own children were growing up, I taught part-time at their school, heading up the Art Summer Camp and Extended Day Art Program. 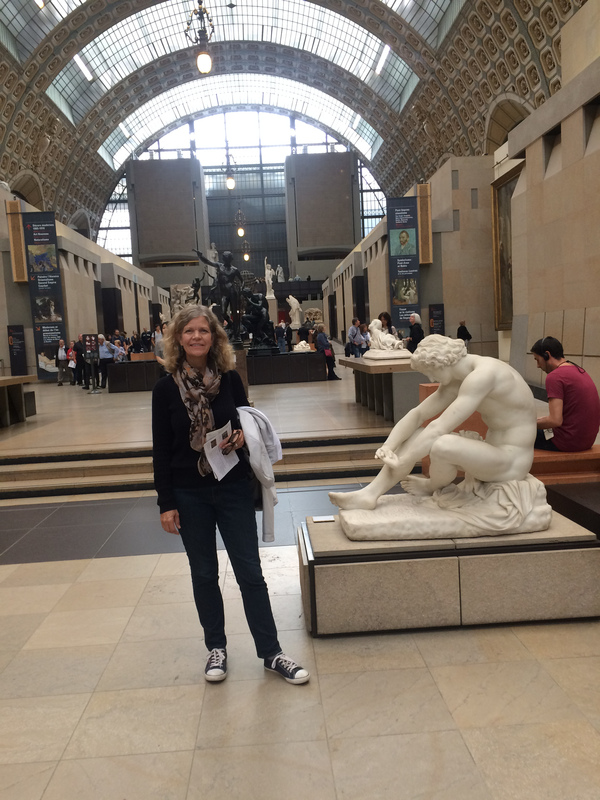 Currently, I am taking advantage of the opportunities in my area to earn a Certificate in World Art from the Smithsonian Associate Program in Washington, DC.